The entire dashboard of the Nissan Altima with the system installed. Looks just like a factory radio! 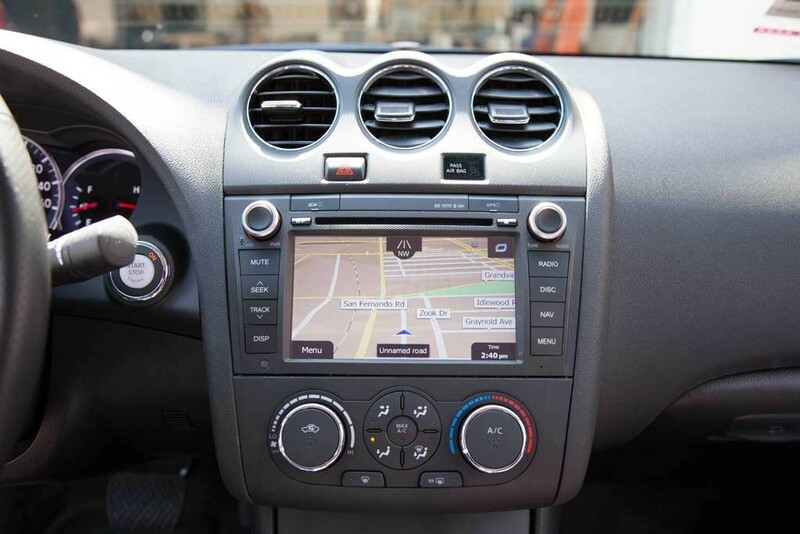 We recently did an installation of the new Rosen Factory navigation system in a 2012 Nissan Altima with back up camera. The installation was rather straightforward and relatively simple when following the Rosen instruction manual. The manual that was provided was excellent and the unit can be installed by any end consumer. The unit even included a factory connector to disable the Nissan Bluetooth module, the Rosen has built in Bluetooth. What makes the Rosen navigation’s so great is that they look like the original Navigation system that came with the vehicle. The advantage to this is that all of the integration with Factory components is plug and play. 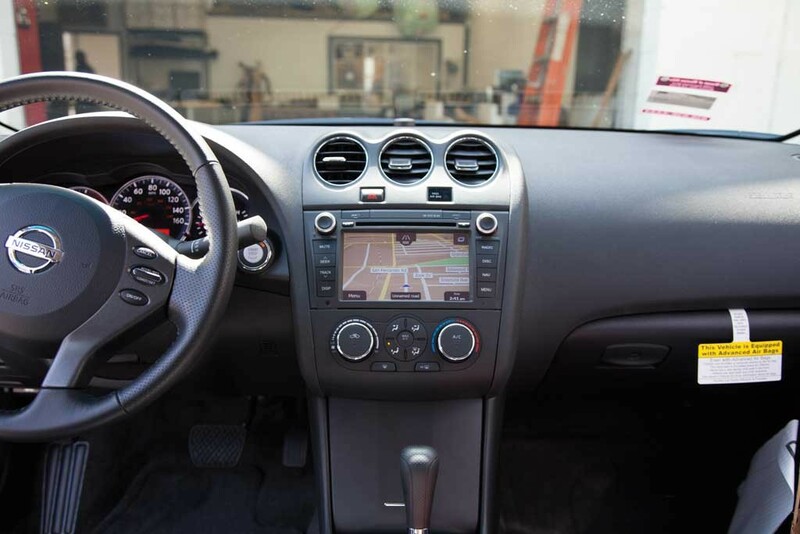 The unit plugs directly into the factory Radio harness, and gives you steering wheel controls without programming! If you are installing a back up camera to a vehicle that does not have a factory back up camera, you will need to run all of the cabling. This maybe out of the scope of what an end consumer can do without some professional installation help. The best part about Rosen is that they match the new vehicle warranty of the vehicle; in this case a 3 year – 36,000 mile warranty. Bose or No Bose : No problem! This system is designed for vehicles with and without Bose stereo systems. We found that the audio quality from the speakers was improved slightly, but can be tailored to you years with the built in equalizer. Satellite radio can be added with an additional module for additional entertainment on long drives. The unit has the ability to control an iPod but a cable is required that is not included, this customer opted not to purchase the cable so we can’t review the functionality. 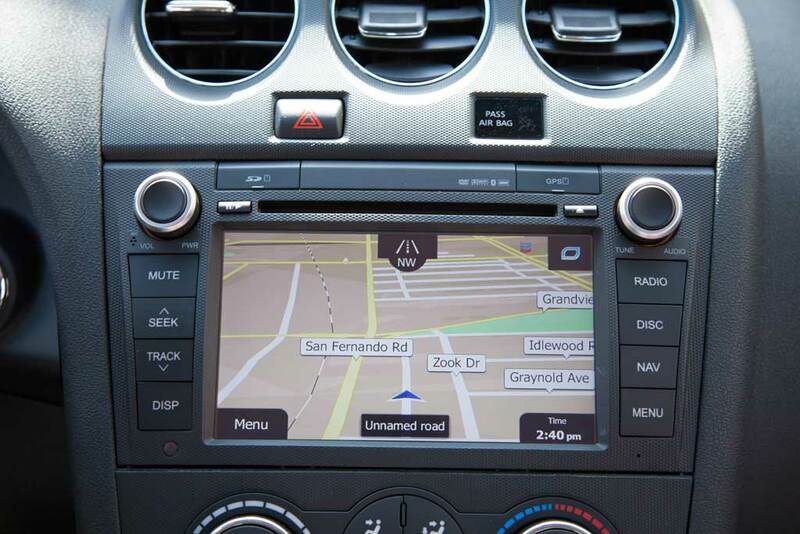 If the iPod control is similar to other Rosen GPS navigation I’m sure it easy to use. Good day, the picture illustrated shows a 2012 Altima with the Rosen NS0710-H11, but there is no link to this model. Your site only has the unit that fits in the 2013-2015 models. Is the Rosen NS0710-H11 discontinued? Thanks. Yes, this is capable of having a back up camera.